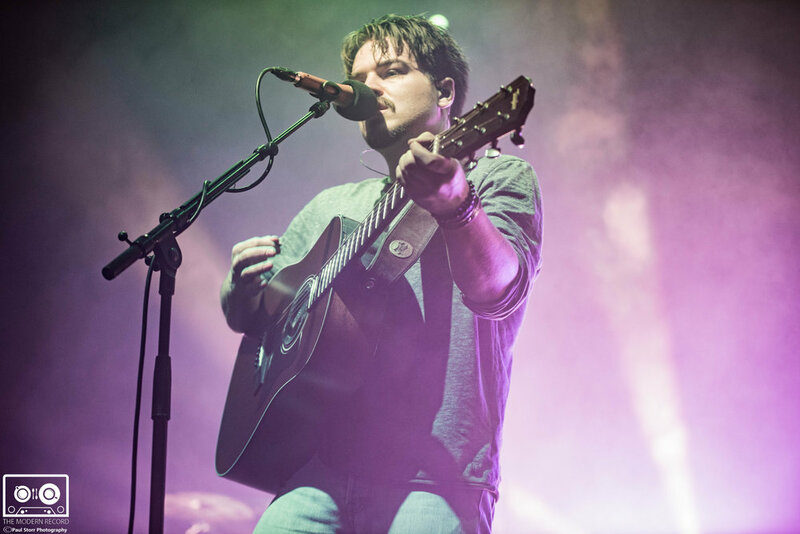 German folk group Milky Chance played a fun and energetic set to a packed and excited O2 Academy. The evening began with Italian group Fil Bo Riva delivering a fantastically strong set with their alternative/indie sound going down a treat with the crowd, their music guaranteed to be liked by anyone who enjoys Milky Chance. They played a reasonably lengthy set with them being the only support act of the night, they received a great reaction as they played one of their most popular songs 'Killer Queen' it's slow tempo and moody vocals sending the crowd swaying. A perfect opening for the evening and definitely a band I will be giving a listen. 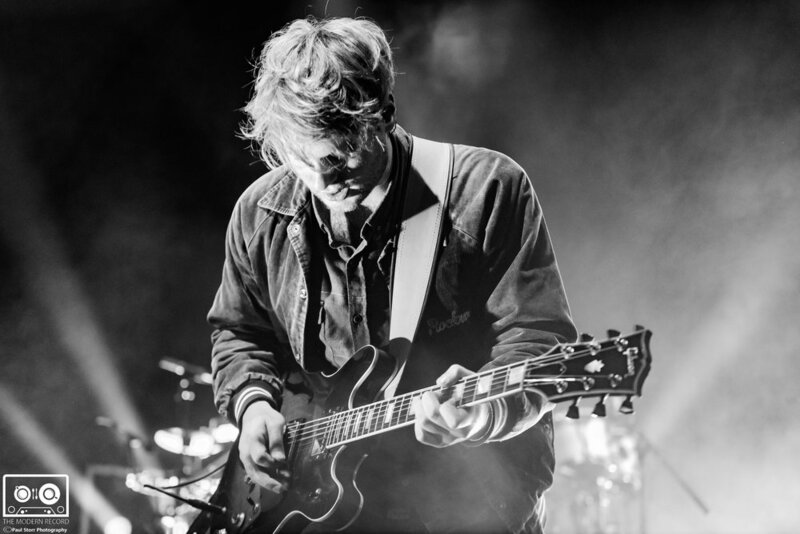 After a fantastic opening to the night the anticipation grew, with the crowd getting bigger and louder as the time drew nearer for Milky Chance to enter the stage. As the three-piece came onto the stage they were met with cheers and plenty of adoration, they opened the night with a vibrant and energetic performance of 'Clouds' its catchy rhythm and upbeat sound sent the crowd into a frenzy of dancing and swaying. As soon as they started playing I noticed that they seemed to be very quiet not just in vocals, this being one of the only few negatives from the night. The upbeat sound of the band continued as they moved onto the song 'Ego' which went down a storm with the Glasgow crowd as they continued to sing back every word. My personal highlight was the performance of the song 'Blossom', this really got the crowd going and had plenty of people on shoulders singing the catchy chorus in unison with frontman Clemens Rehbein. His face lit up as the crowd moved in time with each other to the upbeat guitar riff. This performance was made even better by the fantastic lighting display, the bright and vibrant display really went with the bands vibe and kept the crowd moving. Playing 'Blossom' early on in the set meant the crowd was energetic and excited from the very start of the set and this was clear as the evening went on. Throughout the night I felt that the fact they were very quiet had an effect on the gig as a whole and meant that they did not make the impact on the crowd that they could have, this being out of the bands hands is something I cannot hold against them. Apart from this they continued to sound perfect and perform every song with ease, their performance of 'Down By The River' was a magical experience with its catchy lyrics and head swaying riffs meant the crowd loved every second and all joined in, with the song being caught on various phones definitely a highlight from the night. Various other highlights from the night such as 'Alive' and 'Loveland' were all met with plenty of love from the crowd as they were performed with every ounce of energy the band had, it was good to see a band look like they genuinely were happy on stage as they had smiles on their faces during the whole performance. After wishing Clemens Renhbein an early happy birthday the band entered the last couple songs of their set. The band closed the set with 'Cocoon' another off of the bands highly regarded second album 'Blossom' which came out earlier this year. The band then re-entered the stage to chants and singing from the energetic crowd who were dying to hear more, they humbly thanked the crowd and played a quick cover before jumping into the bands most popular song 'Stolen Dance' it's unbelievable success is what boosted Milky Chance into the limelight after it was on their debut album 'Sadnecessary' back in 2014. This song sent the crowd into a wave of excitement as they chanted back every word with the band letting the crowd sing the chorus on their own at points throughout the song. They then ended the night with 'Sweet sun' which was the perfect ending for a energetic and exciting evening of music with its happy vibes and upbeat sound, this song dragged every last bit of energy out of the German born band as they danced about the stage loving every second.